As an eCommerce merchant, you're already aware of how things can break down along the supply chain, especially during the last mile. Once you hand off your package to the carrier, there's very little you can do to rectify any errors on their side. To the carriers' credit, the vast majority of packages make it to their destination without incident. However, since they're responsible for millions of packages running through their networks on a daily basis, it's simply a given that some of those packages could get lost, damaged, or delayed. If that happens to your packages, here are some quick ways to rectify the situation, maintain customer confidence, and keep your brand image healthy. Delays happen. Packages can be misplaced, the carrier's distribution center could be overwhelmed, or an act of God could have stopped trucks and planes from moving anywhere. While it's an accepted fact of life for you as a business owner, it's a major inconvenience to your customer. 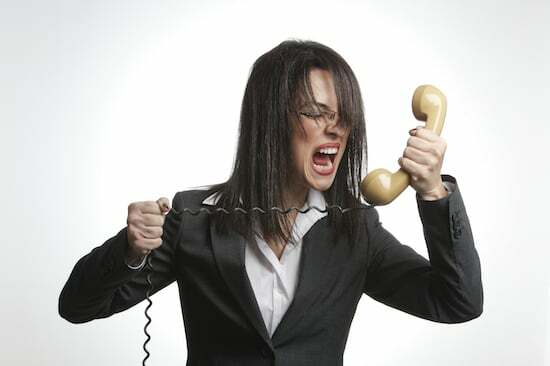 One way to prevent angry customer phone calls is to set reasonable expectations at checkout. Avoid using words like "overnight" or "2-day" and instead use words like "rush", "expedited", or "express". Then set a range of days the package could arrive in, like 1-2, or 2-3, or 5-7, depending on the shipping service levels you plan on offering. This way, you can cover yourself if minor delays prevent the package from arriving exactly in 2 days, it gives your carrier a little more breathing room to deliver the package, and your customer has their expectations reasonably set. But let's say a major delay happens where the customer hasn't received their package after a week of expected delivery. First, make sure the customer's ticket won't get lost in the thicket of support requests your team receives every day. Make sure that one of your representatives will be available to give updates to the customer. Second, we recommend giving something free as a way of apologizing for the delay, like refunding their shipping cost or maybe their entire order if it's small enough. Third, talk to your account representative at your carrier and see why the package was delayed. Figure out where the problem occurred, and what can be done to resolve the situation if the problem reoccurs. Carriers do the utmost to protect your packages in transit, but when a package changes hands as frequently as it does during delivery, accidents can happen. Packages can get dropped, crushed, or slammed against a truck wall as it makes its way from Point A to Point B. It's just a part of logistics, but it can result in a very bad experience for your customer. To prevent against item damage, make sure you don't skimp on packaging material. Use bubble wrap or packing peanuts to minimize item movement within the package, because it's extremely unreasonable to expect delicate handling all the way through from your fulfillment center to the customer's doorstep. Of course, if a package does get damaged, you'll have to offer some kind of recompense to the customer. Offer to replace the product for free, or simply offer a refund. Give your customer a choice, so you can try to salvage their experience and have a much better chance of retaining them. If damaged packages are a reoccurring problem, you'll want to evaluate your packaging process. The carriers aren't a variable you can control, but your packaging is. Consider purchasing shipping insurance too, which you can cover by raising the item or shipping cost. That extra money you spend per package will come in handy if you're experiencing a lot of damaged packages, or if you exclusively deal in high-ticket items. Remember, common shipping errors like these will occur to you from time to time. The important thing is to put contingencies in place to keep your customers happy and minimize their recurrence. Keep an eye on your delivery rates to see if there are any problems creeping up. It's much better to get out in front of problems like delayed or damaged packages, as opposed to reacting to every delivery that goes awry.